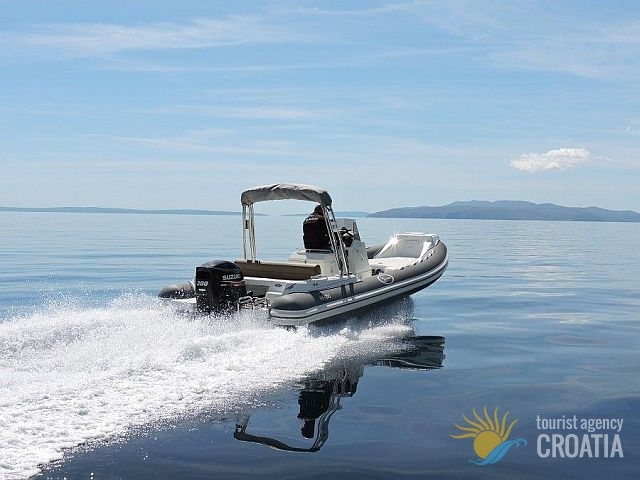 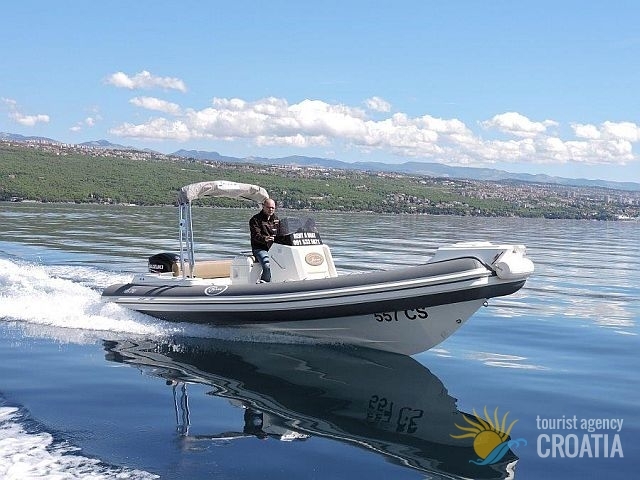 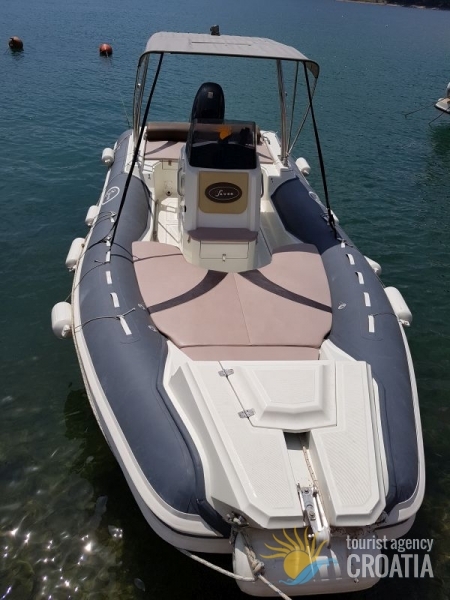 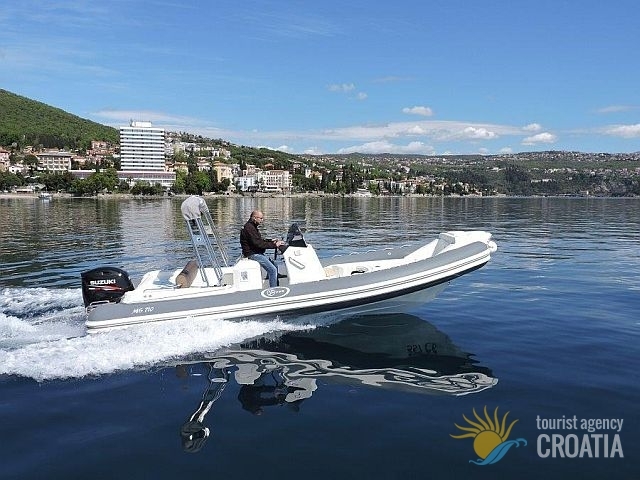 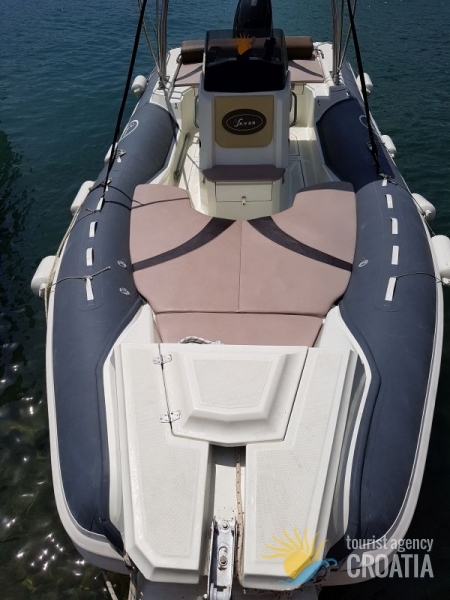 An inflatable boat with sinuous lines, designed to spend many hours at sea and ensure a comfortable navigation. 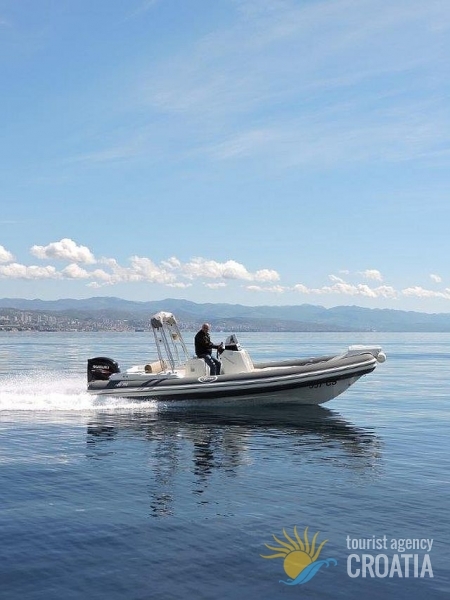 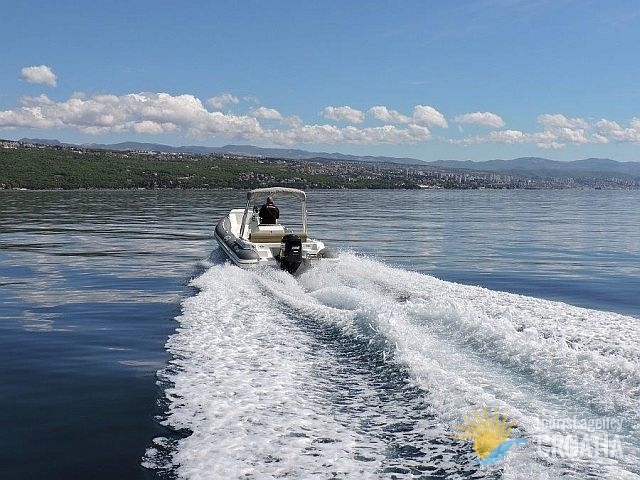 The MG710 is inflatable boat that has two sunbathing (one aft and one in bow). 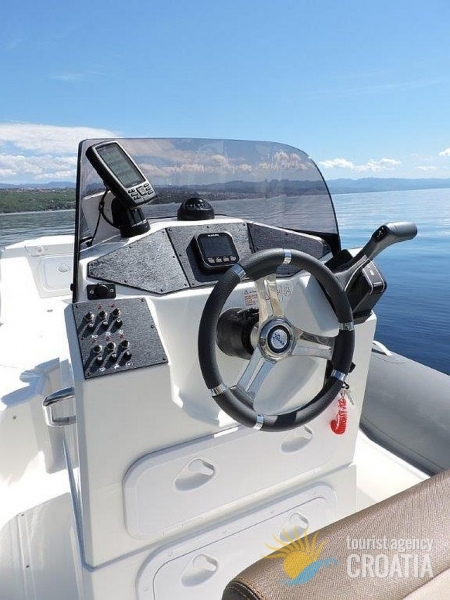 The latter is assembled with the use of the table instead of with its shank removably, to complete up to the seat in front console. 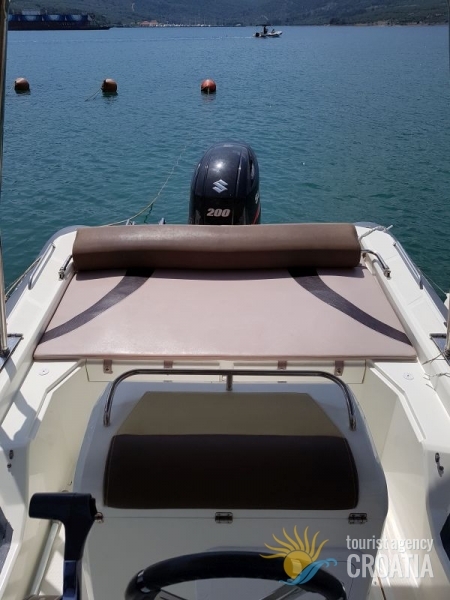 The stern instead is fixed, with the backrest fully exploitable cylindrical overturned towards the stern or as a sofa, bringing the afoersaid backrest forward. 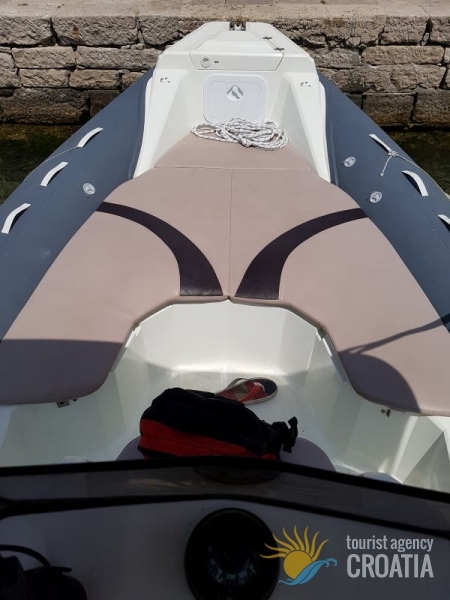 Behind the leaning post there is a space for an one gas ring, while the large lockers distributed between the stern and the bow allow to keep everything in place and well protected. 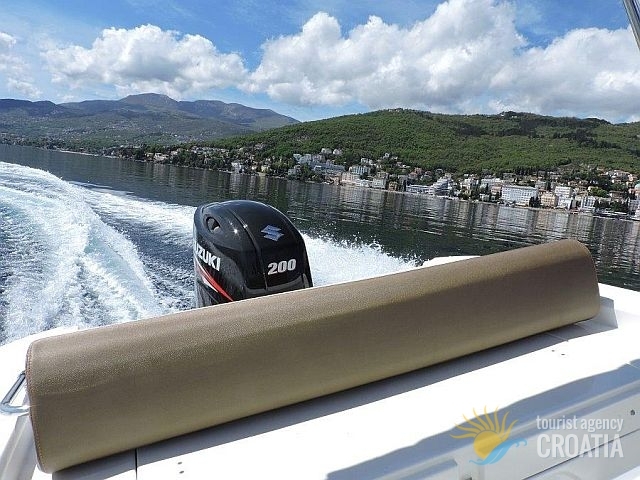 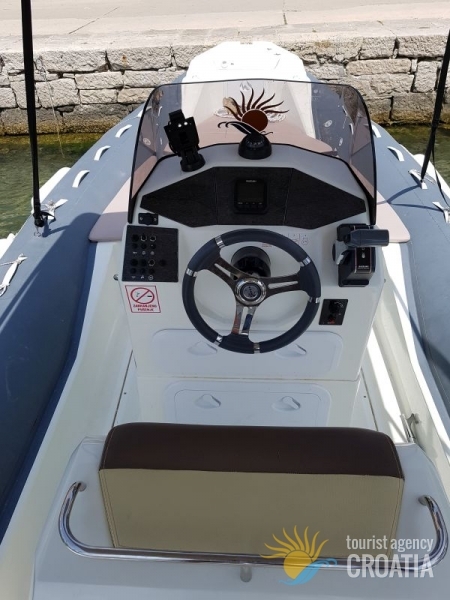 The central console is expected before a usable space as the hold additional, while the stern platforms are supplied as standard equipment, one of which has a swimm ladder. 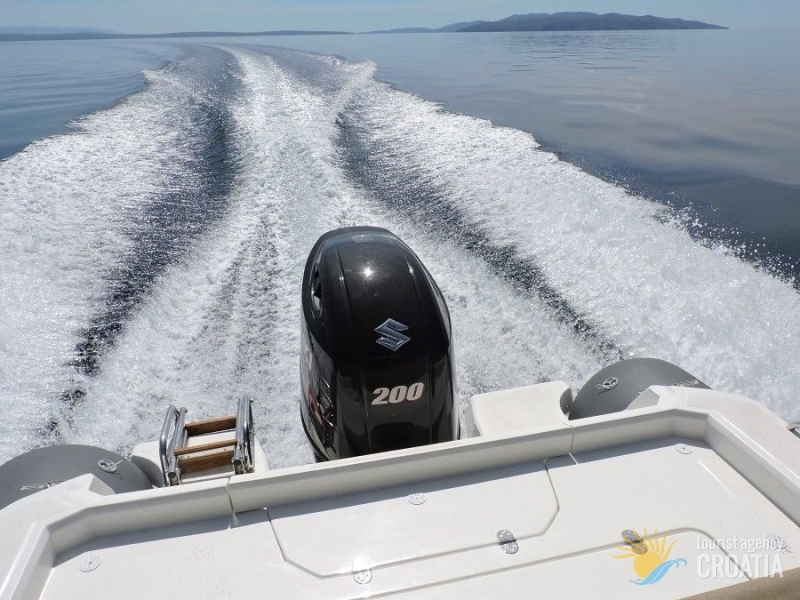 The outboard motor is 200 hp. 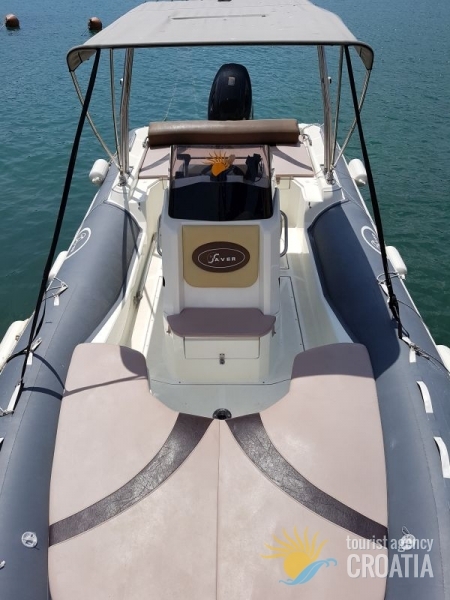 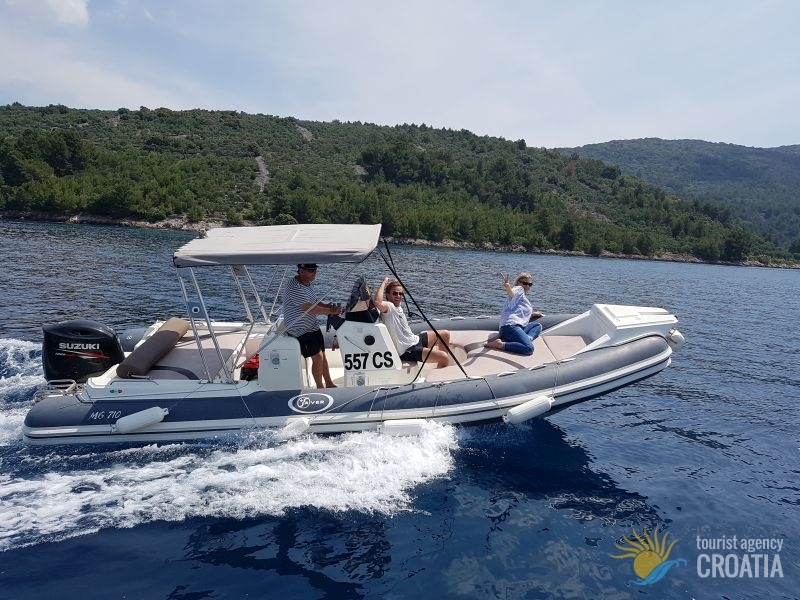 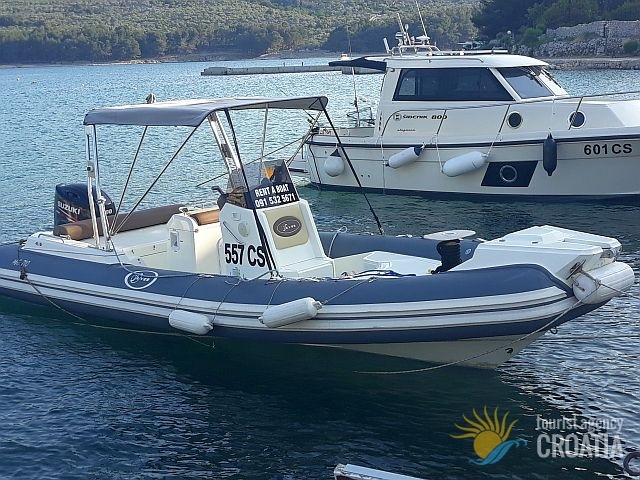 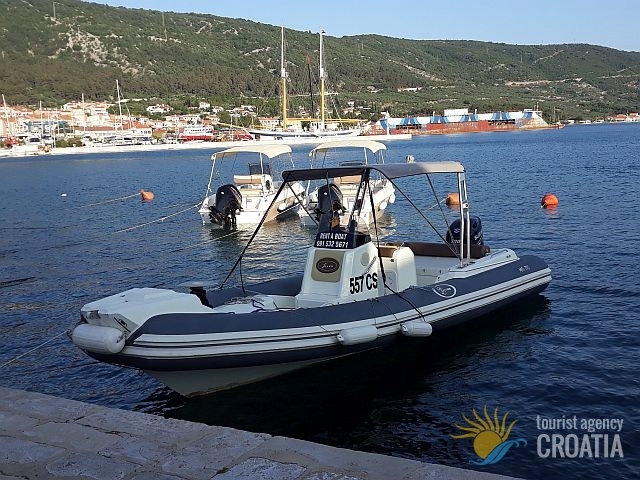 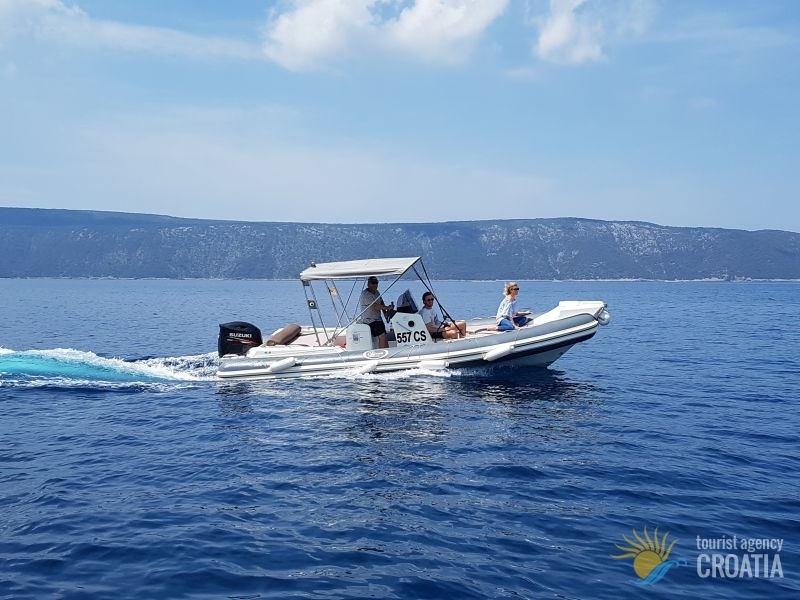 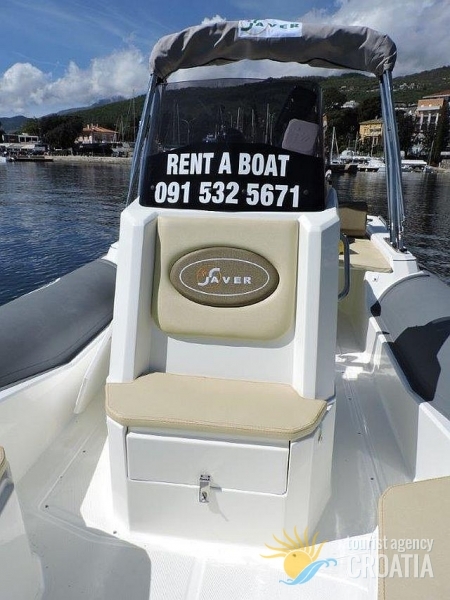 Equipment is Bimini sunshade, sundeck on stern and bow, shower with fresh water, GPS, iPod + USB stick and Bluetoth, safety equipment and nautical charts.